Acton, Mass Fire Department- has upgraded their EMS service to the ALS level. Adams, Mass Fire Department- Fire Chief Paul Goyette will step down after 40 years of service. Adams, Mass Fire Department- has named John Pansecchi as the new Fire Chief. Amesbury, Mass- will withdraw from the Essex County regional call center. CLICK FOR ARTICLE. Amherst, New Hampshire Fire Department- department to hire 3 new firefighters. CLICK FOR ARTICLE. Andover, Mass Fire Department- funds have been approved for a study as to how to proceed with the Ballardvale Fire Station. The study will be run by architects to determine whether the firehouse should be renovated or completely rebuilt. Ashland, MA Fire Department- Fire Chief Scott Boothby will retire on December 22nd after 30 years of service. Attleboro, Mass Fire Department- has placed into service a 2016 Ford Interceptor SUV as EMS 1, the Deputy Chief in charge of EMS. Attleboro, Mass Fire Department- Captain Keith Jackson has retired from the department. Ayer, Mass Fire Department- Ladder 1's 1996 E-One Hurricane 1250/500/75’ RMA has returned to service after being refurbished by Greenwood Emergency Vehicles. Barre, Mass Fire Department- has placed into service a 1999 E-One Cyclone 100' RMA. It previously served in Evergreen Park, IL. Bellingham, Mass Fire Department has been awarded a Federal grant in the amount of $23,311 for Firefighter Emergency Escape Systems. Bernardston, Mass Fire Department- construction costs estimated at 1.8 million for new fire station. CLICK FOR ARTICLE. Bernardston, Mass Fire Department- funds for the new fire station were voted down at Town Meeting. Beverly, Mass Fire Department- funds have been approved to replace the crumbling apparatus floor and widening the bay doors. Engine 5 will run out of an open space at Beverly Hospital during the work periods, which is expected to last a few months. Work will be beging sometime this summer. Billerica, Mass Fire Department has been awarded a Federal grant in the amount of $51,728 for an Air Refill – Compressor System. Boston Fire Department- graduating class made up of all veterans. CLICK FOR ARTICLE. Boston Fire Department- new 2017 Chevy Tahoe's have arrived for the District 4 and District 8 chiefs. Bourne, Mass Fire Department- moves headquarters operations to Sagamore Station. CLICK FOR ARTICLE. Bourne, Mass Fire Department- a fire department ambulance was involved in an accident. Injuries to fire personnel and the civilian driving the other vehicle were being called minor. The ambulance is being considered a total loss. Boxford, Mass Fire Department has been awarded a Federal grant in the amount of $40,000 for Emergency Medical Technician Training. Branford, Connecticut Fire Department- reveals designs for new firehouse for Engine 9. CLICK FOR ARTICLE. Brewster, Mass Fire Department- breaks ground on new fire station. CLICK FOR ARTICLE. Bridgewater, Mass Fire Department- Deputy Fire Chief John "Jack" Hennessey Jr retired 32 years of service. Bridgewater, Mass Fire Department has been awarded a Federal grant in the amount of $51,932 for Firefighter Wellness & Fitness. Bridgewater, Mass Fire Department- congratulations to the following on their promotions: Deputy Chief MacDermott, Captain Luckman, Captain Schlatz and Lieutenant Leurini. Brockton, Mass Fire Department- Firefighter Ray Roberts has retired after 33 years of service. Brockton, Mass Fire Department- becomes 4th fire department in Mass to have an ISO 1 rating. CLICK FOR ARTICLE. Brookline, Mass Fire Department- Engine 1's 2006 E-One Cyclone II has returned to the department after being refurbished. Brookline, Mass Fire Department has been awarded a Federal grant in the amount of $292,093 for Technical Rescue Training. Brookline, Mass Fire Department- Acting Fire Chief Rob Ward has been appointed as the permanent Fire Chief. Burlington, Mass Fire Department- Selectmen approve design concept for new Station 2. CLICK FOR ARTICLE. Burlington, Mass Fire Department- Station 2 ready to be demolished to make way for new fire station. CLICK FOR ARTICLE. Cambridge, Mass Fire Department- Anderson Motors has delivered the new command bus to the department. It will have to be outfitted by the department mechanics and lettered before it will go into service. Cambridge, Mass Fire Department- Cambridge Engine 3 will be come the department's 5th Paramedic Unit in January. This is to better serve the rapidly expanding East Cambridge area and to lighten the load on Squad 2. Canton, Mass Fire Department– has received a Federal grant in the amount of $241,728 for Firefighter Breathing Apparatus. Charlemont, Mass Fire Department- Fire Chief Doug Annear has announced he will retire at the end of December. Charlton, Mass Fire Department- Fire Chief Charles E. Cloutier Jr. has announced he will retire in January after 23 years of service, 11 of them as chief. Charlton, Mass Fire Department- has named Interim Fire Chief Ed J. Knopf as the permanent Fire Chief. Chatham, Mass Fire Department- has appointed Deputy Fire Chief Peter Connick as the new Fire Chief. Chelsea, Mass Fire Department- has been awarded a Federal grant in the amount of $1,401,944 to hire 8 new firefighters. Chelsea, Mass Fire Department– has received a Federal grant in the amount of $59,091 for an Air Compressor – Refill system. Cheshire, Mass Fire Department– has received a Federal grant in the amount of $7,139 for a Forcible Entry Training Prop. Chesterfield, Mass Fire Department- has been awarded a Federal grant in the amount of $123,048 for 19 – Firefighter Breathing Apparatus. Chicopee, Mass Fire Department- Acting Fire Chief Dean F. Desmarais has been appointed as the permanent Fire Chief. Chicopee, Mass Fire Department- appoints six new firefighters. CLICK FOR ARTICLE. Colrain, Mass Fire Department- has received a Federal grant in the amount of $148,000 for 15 – Firefighter Breathing Apparatus and 22 sets of Protective Turnout Gear. Concord, Mass Fire Department- firefighters battle fire at their own station. CLICK FOR ARTICLE. 2nd article that discusses damage to Engine 4. Engine 8 and an ambulance will be returned to service after being cleaned. CLICK FOR ARTICLE. Concord, Mass Fire Department- investigation continues into cause of West Concord Fire Station fire. CLICK FOR ARTICLE. Concord, Mass Fire Department- substation reopens after 6 months of repairing fire damage. CLICK FOR ARTICLE. Concord, Mass Fire Department- Interim Fire Chief Tom Judge has been named as the permanent Fire Chief. Cotuit, Mass Fire Department- Nantucket Fire Chief Paul Rhude has left his post in Nantucket to take the reins in Cotuit. Danvers, Mass Fire Department- will be elmiminating the light rescue truck from front line service. The plan is to move the 2 firefighters on each shift to other apparatus, which will also fasciliate a 4 firefighter crew on the new KME tower every shift. The new tower is currently on order an is expected to be completed soon. Dartmouth, Mass Fire District 3- has opened and occupied their new Fire Headquarters Station located at 140 Cross Road, which is the site of the former station. Dedham, Mass Fire Department- town meeting approves funds for new public safety building. CLICK FOR ARTICLE. Dennis, Mass Fire Department- two firefighters promoted. CLICK FOR ARTICLE. Dennis, Mass Fire Department- hires new Firefighter/Paramedic. CLICK FOR ARTICLE. Dennis, Mass Fire Department- has been awarded a Federal grant in the amount of $1,389,453 to hire 8 new firefighters. Dighton, Mass Fire Department- has named Acting Fire Chief Christopher Maguy as the permanent Fire Chief. Dunstable, Mass Fire Department- town meeting voted down a request for funds for a new pumper. The vote was actually a tie, but town bylaw makes a tie vote a no vote. Dunstable, Mass Fire Department- has received a Federal grant in the amount of $10,286 for 2 – Pulse Oximeters. East Bridgewater, Mass Fire Department– has received a Federal grant in the amount of $70,477 for 2 – Power Stretchers and Ambulance Power Load Systems. East Brookfield, Mass Fire Department- Fire Chief Peter Livermore will retire on April 30th after 44 years of service. Easton, Mass Fire Department- signs on for regional dispatch. CLICK FOR ARTICLE. Edgartown, Mass Fire Department- has named Deputy Chief Alexander J. Schaeffer as the new Fire Chief. Essex, Mass Fire Department- work will begin on June 12th to repair/replace part of the apparatus floor. Damaged section of the floor had been covered with metal plates for the last few months. Everett, Mass Fire Department- firefighters promoted. CLICK FOR ARTICLE. Fall River, Mass Fire Department- has recieved a Federal grant to purchase turnout gear. CLICK FOR ARTICLE. Fall River, Mass Fire Department- fire alarm system to get upgrade. CLICK FOR ARTICLE. Fall River, Mass Fire Department has been awarded a Federal grant in the amount of $41,449 for Vehicle Extrication Equipment. Falmouth, Mass Fire Department- Firefighter Russell R. Ferreira, former union president, retired after 30 years of service. Falmouth, Mass Fire Department- Firefighter Todd A. Taylor retired after 35 years of service. Fitchburg, Mass Fire Department- city demolishes former station. CLICK FOR ARTICLE. Foxborough, Mass Fire Department- has placed into service a 2017 Ford F-250 as Squad 3. Foxborough, Mass Fire Department- has been awarded a Federal grant in the amount of $740,629 to hire 4 new firefighters. Framingham, Mass Fire Department- has acquired a former U.S. Army Stewart & Stevenson utility truck. It will be converted into a brush tanker by the department shops. Framingham, Mass Fire Department– has received a Federal grant in the amount of $175,182 for 47 - Portable Radios. Framingham, Mass Fire Department- voters approved funds to build a new Saxonville Fire Station, which is the quarters of Engine 2. Framingham, Mass Fire Department- has received a Federal grant in the amount of $175,182 to purchase new portable radios. Franklin, Mass Fire Department- has swown in James Polito as the department's newest firefighter. Freetown, Mass Fire Department has been awarded a Federal grant in the amount of $39,940 for 2 – Chest Compression Devices. Georgetown, Mass Fire Department- Deputy Chief Russ Moyer has retired after 29 years of service. Gill, Mass Fire Department- has been awarded a Federal grant in the amount of $118,627 for 20 – Firefighter Breathing Apparatus. Gloucester, Mass Fire Department- has been awarded a Federal grant in the amount of $469,910 for Portable Radios. Gloucester, Mass Fire Department- Assistant Chief Tom Aiello, Deputy Chief Miles Schlichte, Firefighter Joseph Misuraca, Firefighters Tim Gallagher, Firefighter Mike McCarthy and Firefighter John McCarthy have all retired from the department within the last few weeks. Groveland, Mass Fire Department- has named Kurt Ruchala as the department's first Assistant Chief. Hadley, Mass Fire Department- voters approve funds to build a new substation. Hadley, Mass Fire Department- recently placed into service a 1989 GMC/1990 Landall 4X4 rescue. It had previously served in Ware, Mass and at Westover Air Force Base. Hadley also has put into service a 2010 AM General 250/1250/7F tanker. Hampden, Mass Fire Department- voters approved a Town Meeting article to add 3 full time firefighters to the volunteer department. These will be the first full time firefighters in the department's history. Hamden, Mass Fire Department- hires first full time firefighters. CLICK FOR ARTICLE. Hanover, Mass Fire Department- has been awarded a Federal grant in the amount of $712,427 to hire 4 new firefighters. Harwich, Mass Fire Department- Ladder 66's 1992 E-One Hurricane 100' RMA has returned to service after being refurbished by M&R. Harwich, Mass Fire Department- Firefighter Ryan Edwards has been promoted to the rank of Lieutenant. Heath, Mass Fire Department- Colrain Fire Chief Nicholas Anzuoni has been hired by Heath to serve as Interim Fire Chief from January 1st through June 30th. Holden, Mass Fire Department- Tower 1's 1998 Sutphen 1500/750 100’ MMA Tower has returned to service after being refurbished. Holyoke, Mass Fire Department- Engine 2 has been permanently "browned out" due to budget shortfalls. The 2014 KME Predator Panther 1500/750 has been reassigned to Engine 6. Hyannis, Mass Fire Department- site work begins for new fire station. CLICK FOR ARTICLE. Hyannis, Mass Fire Department- has named Barnstable Deputy Fire Chief Peter Burke as the new Hyannis Fire Chief. Ipswich, Mass Fire Department- has received a Federal grant in the amount of $106,686 for 30 Breathing Apparatus. Ipswich, Mass Fire Department- has named retired Chelmsford Fire Chief Jack Parow as Interim Fire Chief. Kingston, Mass Fire Department- has been awarded a Federal grant in the amount of $217,120 for 28 - Firefighter Breathing Apparatus. Lawrence, Mass Fire Department- welcomes home 2 firefighters returning from military duty in Afghanistan. CLICK FOR ARTICLE. Lee, Mass Fire Department- has named Ryan Brown as its first full-time Fire Chief. Leicester, Mass Fire Department- has placed into service a 2006 Spartan 95' Aerialscope designated Tower 53. It previously served at a department in Eastern Pennsylvania. Leicester, Mass Fire Department- has acquired a 2006 International/2007 Marion rescue that had previously served Upton and Oxford. Leominster, Mass Fire Department- Off-duty Firefighter Scott LaPrade was credited with saving a boy that was choking at an after school event. Leyden, Mass Fire Department- town residents asked to accept fire truck purchased by firefighters on town meeting article. The article was tabled indefinately due to lack of information. CLICK FOR ARTICLE. Lowell, Mass Fire Department- Deputy Chief Patrick McCabe Jr retired on January 20th after 42 years of service. Lowell, Mass Fire Department- firefighters honored for brave efforts. CLICK FOR ARTICLE. Lowell, Mass Fire Department- has been awarded a Federal grant in the amount of $610,374 to hire 4 new firefighters. Ludlow, Mass Fire Department- has been awarded a Federal grant in the amount of $46,364 for an Air Compressor / Refill System. Lynn, Mass Fire Department- budget cuts lead to brown outs. CLICK FOR ARTICLE. Lynn, Mass Fire Department- Fire Chief James McDonald has announced he will retire in January 2018 after 40 years of service. Lynnfield, Mass Fire Department- has placed into service a 2018 Ford F-150 as Car 1. Massachusetts Firefighting Academy- has received a Federal grant in the amount of $426,087 for Training Props. Mashpee, Mass Fire Department has been awarded a Federal grant in the amount of $45,715 for 3 – Chest Compression (CPR) Devices. Medway, Mass Fire Department- voters approved a Town Meeting article to hire four additional firefighters that will also be paramedics. The department will increase staffing by one firefighter per shift and will increase the level of care provided by the fire department ambulance from BLS to ALS. Medway, Mass Fire Department- Engine 1's 2009 International/E-One Tradition 1250/1000/30F has returned to service after being refurbished. Medway, Mass Fire Department- has been awarded a Federal grant in the amount of $741,443 to hire 4 new firefighters. Medway, Mass Fire Department- has placed into service a 2017 Ford F-350 as Squad 5. Melrose, Mass Fire Department- has sworn in Brent Dobbins, William Holm, and Alessandro Colarusso as the newest firefighters. Melrose, Mass Fire Department- has taken delivery of a 2017 Ford Expedition for Car 2 (Shift Commander). Mendon, Mass Fire Department has been awarded a Federal grant in the amount of $136,705 for Firefighter Breathing Apparatus. Merrimac, Mass Fire Department– has received a Federal grant in the amount of $118,096 for Firefighter Breathing Apparatus. Methuen, Mass Fire Department- has purchased a 2007 Ford F-450/AEV ambulance that will be used as a spare. The unit previously served in North Andover. Methuen, Mass Fire Department- has received a Federal grant in the amount of $225,655 for 33 Breathing Apparatus and 60 Face Pieces. Methuen, Mass Fire Department- Deputy Chief Chuck Ripley has retired after 41 years of service. Methuen, Mass Fire Department- Richard Aziz II has been promoted to Deputy Chief. Methuen, Mass Fire Department- Firefighters promoted and new hires welcomed. CLICK FOR ARTICLE. Methuen, Mass Fire Department- two firefighters graduate fire academy. CLICK FOR ARTICLE. METROFIRE District 13 (Mass)- The 1995 Ford Air Supply has been removed from service for mechanical reasons. As of this writing it will not be replaced. Middleborough, Mass Fire Department- Town Meeting approved the article to hire 2 additional firefighters to add to the ranks. Middleton, Mass Fire Department- has been awarded a Federal grant in the amount of $15,634 for a Turnout Gear Washer & Dryer. Millbury, Mass Fire Department- has placed into service a 2004 Ford F-350 as Forestry 2. The unit previously served with FEMA. Nahant, Mass Fire Department– has received a Federal grant in the amount of $50,477 for an Air Refill – Compressor System. Nantucket, Mass Fire Department- bid for new station comes in over budget. CLICK FOR ARTICLE. Nantucket, Mass Fire Department- new fire station delayed until spring of 2018. CLICK FOR ARTICLE. Nantucket, Mass Fire Department- Deputy Chief Stephen Murphy has been named Interim Fire Chief. Nantucket, Mass Fire Department- Will appoint Interim fire chief Stephen Murphy as the permanent fire chief on September 13th. Natick, Mass Fire Department- Town Meeting approved funds for design and related work for a new West Natick fire station. Natick, Mass Fire Department- Probationary Firefighter Thomas J. Brandt has graduated from the Massachusetts Firefighting Academy. New Bedford, Mass Fire Department– has received a Federal grant in the amount of $74,000 for Vehicle Extrication Equipment. New Bedford EMS, Mass- has received a Federal grant in the amount of $281,382 for 8 Power Stretchers with Ambulance Power Load Systems. Newton, Mass Fire Department has been awarded a Federal grant in the amount of $76,091 for Firefighter Emergency Escape Systems. Newton, Mass Fire Department- Deputy Chief Michael Castro has retired after 34 years of service. Newton, Mass Fire Department- has opened their new firehouse located at 31 Willow Street on Monday, July 31, 2017. It is the 3rd firehouse to be located at this location and will house Engine 3 and Rescue 1 along with the Deputy Chiefs. North Adams, Mass Fire Department has been awarded a regional Federal grant in the amount of $452,900 for 73 Firefighter Breathing Apparatus and 7 – Rapid Intervention Packs. Northborough, Mass Fire Department- Captain James Houston has retired after 40+ years of service. 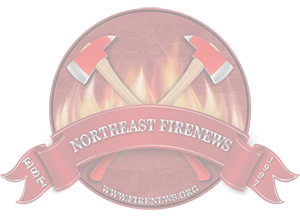 Northbridge, Mass Fire Department- Fire Chief Gary Nestor is retiring at the end of May after a forty four year career, the last twenty as Fire Chief. Captain David White has been appointed Fire Chief effective May 31. He has been a career firefighter since 1986. Norton, Mass Fire Department- hopes to reopen their substation with proposition 2 1/2 override were dashed when the override failed to pass at town meeting. Norton, Mass Fire Department has been awarded a Federal grant in the amount of $29,063 for Firefighting Tools and Equipment. Oak Bluffs, Mass Fire Department- Engine 524's 2003 E-One Cyclone II 1500/500 has returned to service after being refurbished by M & R/Specialty Vehicles. Oakham, Mass Fire Department- has been awarded a Federal grant in the amount of $83,334 for 14 - Breathing Apparatus. Orange, Mass Fire Department- has received a Federal grant in the amount of $47,620 for Vehicle Extrication Equipment. Otis, Mass Fire Department- Rescue 1's 2013 International/KME rescue was severly damaged in an MVA while responding to Sandisfield to help with a structure fire. Fortunately, there were no serious injuries. Oxford, Mass Fire Department- has been awarded a Federal grant in the amount of $234,742 to hire 2 new firefighters. Pepperell, Mass Fire Department has been awarded a Federal grant in the amount of $57,298 for 27 Pagers, 2 – Chest Compression (CPR) Devices and 2 – IV Pumps. Pepperell, Mass- has pulled out of the regional dispatch pact. CLICK FOR ARTICLE. Pittsfield, Mass Fire Department- hires 8 new firefighters. CLICK FOR ARTICLE. Pittsfield, MA Fire Department- Abigail Lemanski becomes the department's first female firefighter. She previously served seven years with the Lenox Fire Department. Princeton, Mass Fire Department- has placed into service a 1991 Chevy Kodiak/Supervac medium duty rescue. It was originally owned and operated by the Brookside VFC in East Brunswick, NJ. The truck has been designated Squad 1 and replaces a 1981 GMC. Princeton, Mass Fire Department- has been awarded a Federal grant in the amount of $220,000 for 22 - Breathing Apparatus, Accountability System, Rapid Intervention Pack and an Air Compressor – Refill System. Randolph, Mass Fire Department- companies have moved into the new Station 2, located at 952 North Main Street. Raynham, Mass Fire Department- Deputy Chief Dennis Murphy has retired after 49 years of service. Reading, Mass Fire Department- Captain Philip Boisvert has retired after 34 years of service. Reading, Mass Fire Department- has been awarded a Federal grant in the amount of $159,364 for the purchase of personal protective equipment. Revere, Mass Fire Department- has been awarded a Federal grant in the amount of $84,637 for an Emergency Vehicle Operator Training. Rutland, Mass Fire Department- has appointed Deputy Chief Seth Knipe as Fire Chief. Salem, Mass Fire Department- has been awarded a Federal grant in the amount of $32,228 for Fire Hose and Breathing Apparatus Tanks. Salisbury, Mass Fire Department- Captain Scott Carrigan of the Nashua, NH Fire Department has been named as the new fire chief in Salisbury. He replaces Chief Rick Souliotis who is retiring June 30th. Sandwich, Mass Fire Department- Probationary Firefighters Shawn Deane, Dustin Gray, Christopher Leonard, Chad Smith, and Zachary Hammond have all successfully graduated the Massachusetts Firefighting Academy. Sandwich, Mass Fire Department- Captain Scott F. Ames has retired after 40 years of service. Sandwich, Mass Fire Department- pins 11 new firefighters. CLICK FOR ARTICLE. Saugus, Mass Fire Department has been awarded a Federal grant in the amount of $30,000 for 3 – Thermal Imaging Cameras. Scituate, Mass Fire Department- Engine 3 is now operating out of the new Station 3 located at 800 Chief Justice Cushing Highway. Rescue 2 and spare Engine 2 are also assigned to this location. Scituate, Mass Fire Department has been awarded a Federal grant in the amount of $95,239 for 2 – Chest Compression (CPR) Devices and 2 – Ambulance Power Stretchers / Loading Systems. Sharon, Mass Fire Department- has moved into their new station, which is located at 211 South Main Street. Sherborn, Mass Fire Department- has selected Erron Kinney to be the new fire chief starting in July. Somerville, Mass Fire Department- has been awarded a Federal grant in the amount of $88,728 for Breathing Apparatus Tanks. Somerville, Mass Fire Department- Firefighter Jack Beckwith retired after 40 years of service. Somerville, Mass Fire Department- the department has completed an in-house refurb of the 1995 International/E-One rescue that had been obtained from Malden. It has been designated Rescue 2 and will carry collapse and tech rescue equipment. Southborough, Mass- voters authorized $27,000,000.00 for the purchase of the St. Mark's Golf Course. 6 acres will be set aside for the construction of a new public safety complex which is included in the money approved. This purchase includes land swaps of the current property the police and fire headquarters sit on, as well as another town lot that abuts St. Mark's school property. Southwick, Mass Fire Department has been awarded a Federal grant in the amount of $91,429 for Firefighter Breathing Apparatus. Spencer, Mass Fire Department- has been awarded a Federal grant in the amount of $469,271 to hire 4 new firefighters. Springfield, Mass Fire Department has been awarded a Federal grant in the amount of $67,773 for firefighting nozzles and hose. Springfield, Mass Fire Department- has hired 7 new firefighters with 14 more expected to be hired by the end of the year. Springfield, Mass Fire Department- has promoted Firefighter's Shawn Connery, Jeff DeGrey, Michael Pereira and Miguel Rivera to the rank of Lieutenant. They also welcomed 3 new firefighter that recently graduated from the Massachusetts Fire Academy: Nicholas Diaz, Alexander Vazques and Jeffrey Zalewski. Springfield, Mass Fire Department- the city has named Agawam Deputy Fire Chief Bernard "BJ" Calvi as the new fire commissioner. Stoneham, Mass Fire Department- Firefighter Dave Eastman recently returned home from an overseas military deployment. Firefighter Sean Fitzgerald is due home from his military deployment in the first quarter of 2018. Stoughton, Mass Fire Department has been awarded a Federal grant in the amount of $199,010 for 23 - Firefighter Breathing Apparatus and an Air Compressor / Refill System. Stoughton, Mass Fire Department- has been awarded a Federal grant in the amount of $1,332,148 to hire 8 new firefighters. Sturbridge, Mass Fire Department- has been awarded a Federal grant in the amount of $820,260 to hire 4 new firefighters. Sudbury, Mass Fire Department- voters turned downed an article that requested funds to rebuild Station 2. Voters that spoke out were not entirely against a new station, but more the $7.1 million dollar price tag. Other voters were also against the debt exclusion would have raised taxes for 20 years, feeling that there should be a different way to pay for the project. Sudbury, Mass Fire Department- Fire Chief William Miles will retire in January after 36 years of service. Swampscott, Mass Fire Department- Engine 21, a 2009 Spartan Crimson, suffered a major engine failure last week and has been sent out for assessment and hopefully for repair. In the meantime the department is operating with reserve Engine 22, an 1997 E-One, backed up by reserve Engine 6 on loan from Salem. Town meeting is scheduled to vote this month on funds to replace Engine 22. Swampscott, Mass Fire Department- Firefighter William Vousboukis has been promoted to the rank of the Lieutenant. Swansea, Mass Fire Department- Deputy Chief Eric Hajder has been named Acting Fire Chief. Sterling, Mass Fire Department- call firefighter seeks kidney donation. CLICK FOR ARTICLE. Stow, Mass Fire Department- has placed into service a 2016 Ford F-350 pick up. It is designated Engine 19 and will replace a 1996 pick up. Sturbridge, Mass Fire Department- has selected Hamden, CT Fire Captain John A. Grasso Jr to be the new Fire Chief. Sudbury, Mass Fire Department- seeks funds to build new Station 2. CLICK FOR ARTICLE. Sutton, Mass Fire Department- recently placed into service a 1986 AM General/CET 6x6 300/1000/10A as Forestry 4. Sutton also converted Forestry 1's 2008 Ford F-350 into a light rescue, designated Rescue 2. Taunton, Mass Fire Department has been awarded a Federal grant in the amount of $77,455 for 120 Firefighter Face Piece - Masks. Tewksbury, Mass Fire Department- Engine 3 involved in MVA during blizzard. CLICK FOR ARTICLE. Tewksbury, Mass Fire Department- town meeting approved funds to build a new Headquarters Fire Station. Tolland, Mass Fire Department- the now defunt Burrville (CT) Fire Department has gifted a Spartan/Luvenre pumper and Ford light rescue to the department. Topsfield, Mass Fire Department- Captain Jenifer Collins-Brown has been named as the new Fire Chief. Uxbridge, Mass Fire Department- Maintenance 1's 2006 Ford pickup has been refurbished by teachers and studends at the Blackstone Valley Technical Vocational School. Village Ambulance (Williamstown, Mass)- maybe become insolvent in May due to budge shortfalls. CLICK FOR ARTICLE. Wakefield, Mass Fire Department- has received a Federal grant in the amount of $45,455 for Vehicle Extrication Equipment. Walpole, Mass Fire Department- grounbreaking held for new fire station. CLICK FOR ARTICLE. Walpole, Mass Fire Department- has hired 4 new firefighters: Allen Hover, Benjamin Foley, Brian Reeves and Thomas Duggan. Walpole, Mass Fire Department- has received a Federal grant in the amount of $92,562 for Firefighter Training. Waltham, Mass Fire Department- City Council approved a plan to design a new Moody Street Fire Station instead of renovating the existing 117 year old station. Waltham, MA Fire Department- Spare Engine 9's E-One pumper was severly damaged after sliding on ice and colliding with a pole. Although there were injuries to the crew, they were reported to be minor. Wareham, Mass Fire Department- Fire Chief Robert McDuffy announced he will retire on September 8th. Warwick, Mass Fire Department- has purchased a 2007 Ford F-550 light rescue/brush truck. The unit previously served in Somers, CT.
Watertown, Mass Fire Department- has upgraded EMS service levels from BLS to ALS. The call sign for the primary ambulance has changed from Rescue 1 to Medic 1. Watertown, Mass Fire Department- Fire Chief Mario Orangio has announced he will retire soon after 28 years of service. He has not set a specific date and has cited health reasons for retiring at this time. Webster, Mass Fire Department- voters turned down a request for funds to purchase a new engine. Wenham, Mass Fire Department- has purchased a 2006 Ford E-450/Life Line ambulance to start up the department's first ambulance program. The unit previously served Middleton and will replace the 1997 Freightliner/ Central States rescue truck. West Bridgewater, Mass Fire Department- Fire Chief Len Hunt will retire effective January 1st. Deputy Fire Chief Kenneth May has been named as his successor. West Brookfield, Mass Fire Department- has received a Federal grant in the amount of $134,096 for Firefighter Breathing Apparatus. West Springfield, Mass Fire Department has been awarded a Federal grant in the amount of $135,182 for an Air Compressor / Refill System and Fire Sprinkler System for their Headquarters. West Springfield, Mass Fire Department- has been awarded a Federal grant in the amount of $1,252,790 to hire 8 new firefighters. Westford, Mass Fire Department- has broken ground on their new Headquarters Fire Station. CLICK FOR ARTICLE. Westport, Mass Fire Department- has appointed Chris Caswell as the department's newest full time firefighter. He previously has served in the call department. Westwood, Mass Fire Department- companies have moved into the new Station 2, which is located at the site of the old station at the corner of Washington and East Streets. Westwood, Mass Fire Department- Chief William Scoble has retired after 40 years of service. Westwood, Mass Fire Department- has appointed former West Hartford Battalion Chief John T. Deckers as Chief of Department. John is formerly from Hingham and went to high school in Westwood. Weymouth, Mass- South Shore Hospital will assume the ambulance contract effective July 1, 2018. Fallon Ambulance currently provides the contract and will continue service until July. Wilbraham, Mass Fire Department- Captain Peter Nothe has been promoted to the rank of Deputy Fire Chief. Williamstown, Mass Fire Department- voters approve land purchase for future fire station. CLICK FOR ARTICLE. Wilmington, Mass Fire Department- Fire Chief Rick McClellan will retire from the department on January 12, 2018 after 35 years of service. Winchendon, Mass Fire Department- Captain Marty Brooks retired from the fire department after serving the Winchendon community for 30 years. Winchendon, Mass Fire Department- has received a Federal SAFER Grant in the amount of $687,537.00 to hire 3 fulltime FF/Medics. Woburn, Mass Fire Department- Deputy Chief Stephen Adgate has been promoted to Fire Chief and Captain Donald Kenton has been promoted to Deputy Chief. Worcester, Mass Fire Department- Engine 2 rear ended during slick road conditions. CLICK FOR ARTICLE. Worcester, MA Fire Department- has named Deputy Chief Michael J. Lavoie as the new Fire Chief. Worcester, Mass Fire Department- Firefighters promoted. CLICK FOR ARTICLE. Worcester, Mass Fire Department- Lieutenant Anne Marie Pickett has been named the winner of Liberty Mutual Insurance's 2016 National Firemark Award for Community Service and Public Education. Wrentham, Mass Fire Department- off duty firefighters save man after fall. CLICK FOR ARTICLE. Yarmouth, Mass Fire Department has been awarded a Federal grant in the amount of $191,404 for 4 – Power Lift Stretchers.